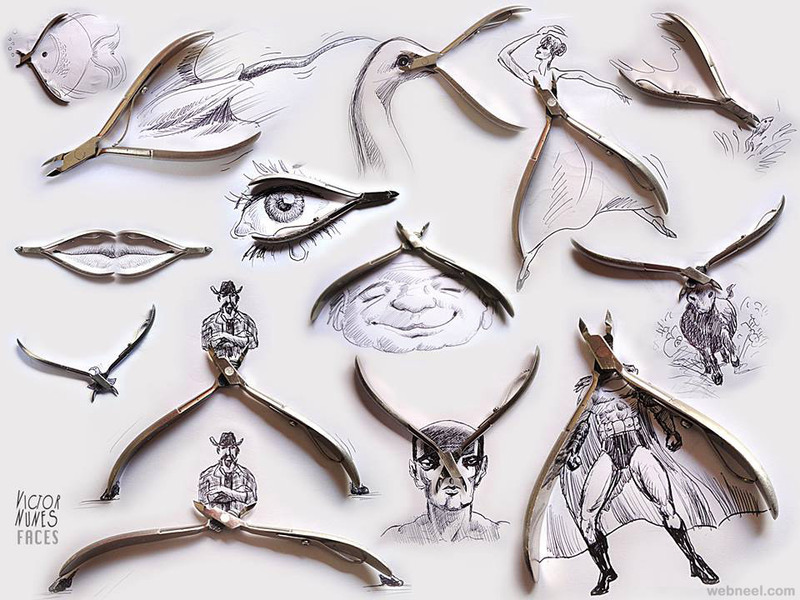 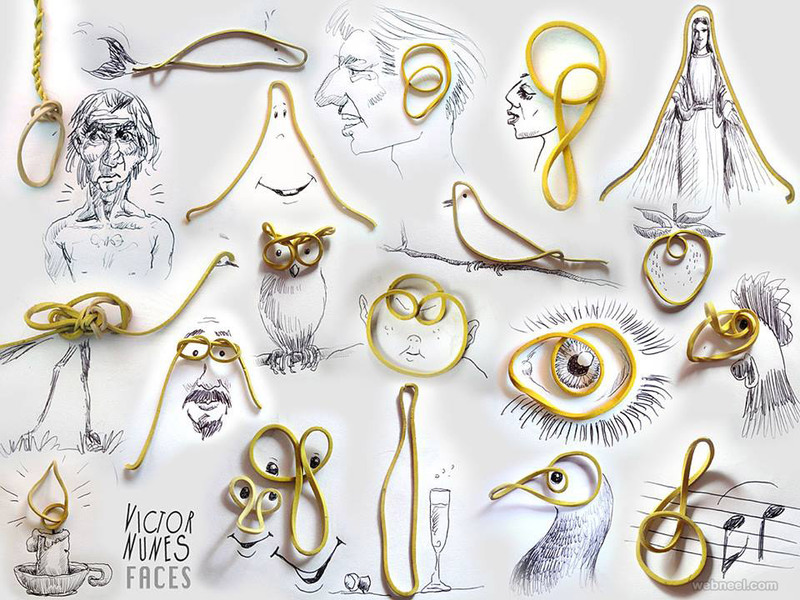 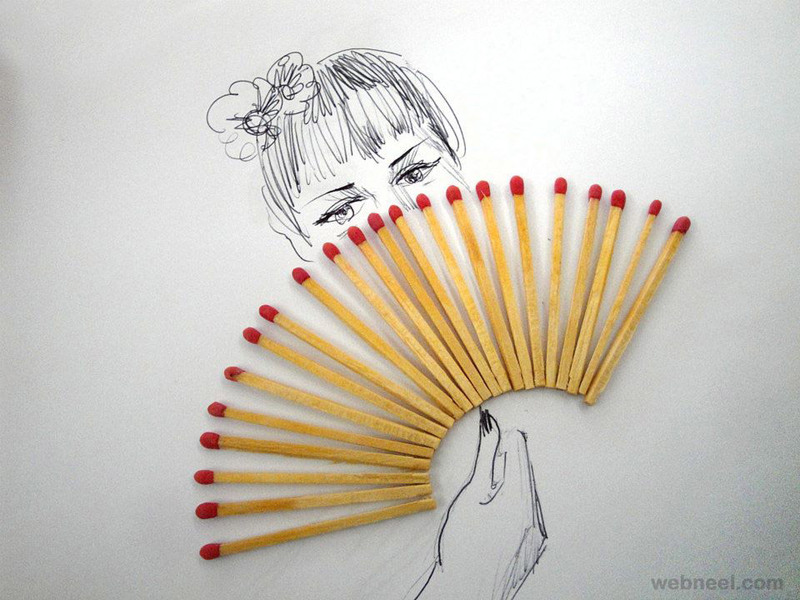 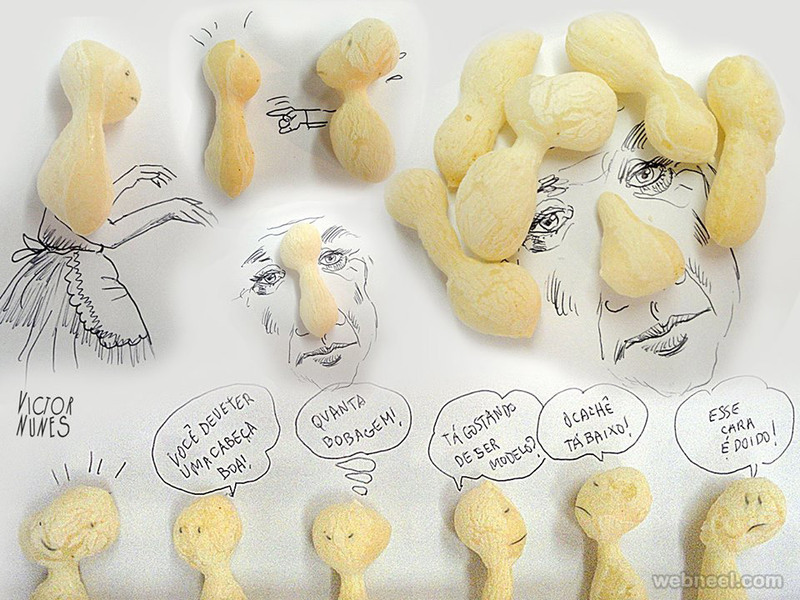 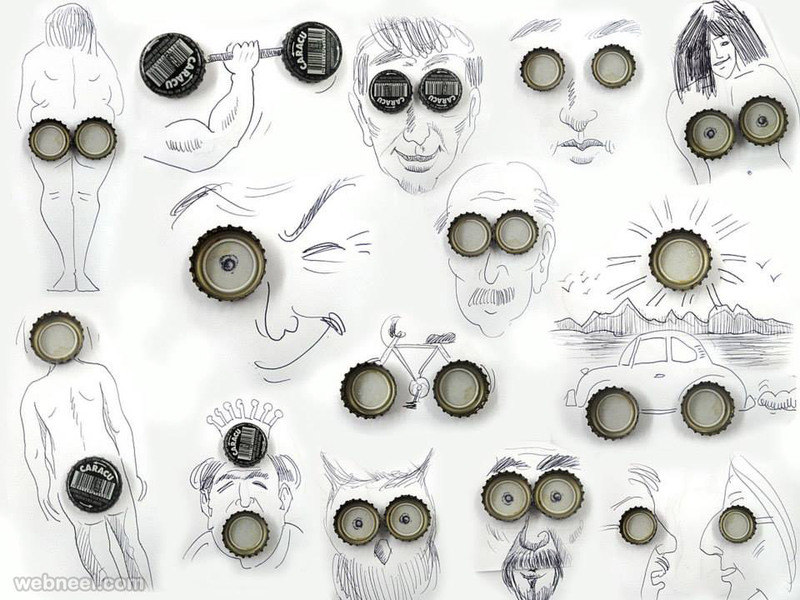 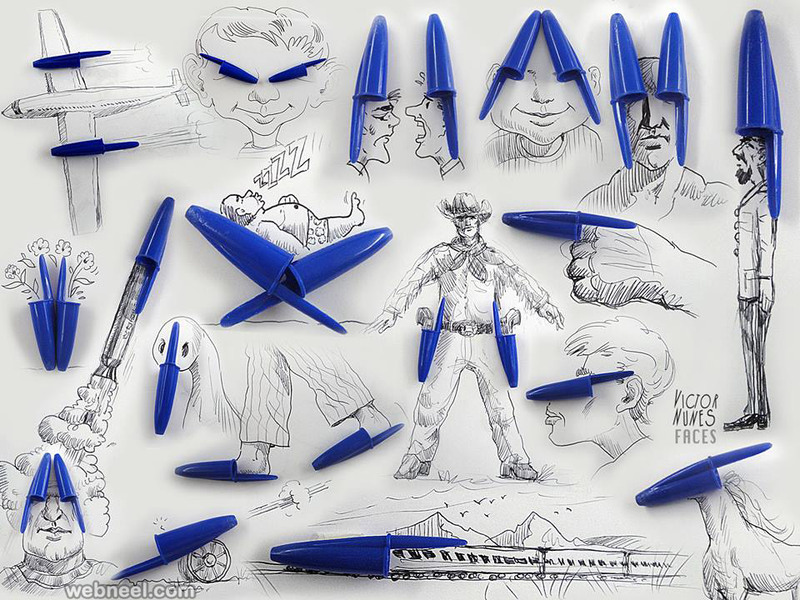 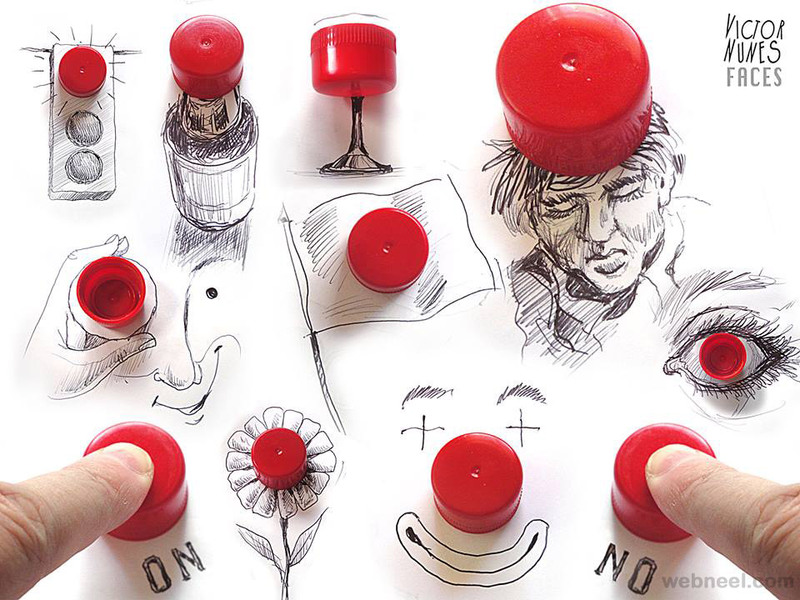 Creative Art / Funny Art : Portuguese artist Victor Nunes creates amusing and playful drawings using just a black pen and bits of everyday objects. 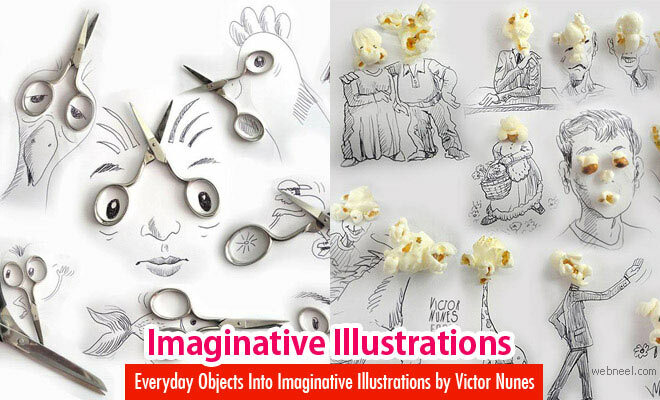 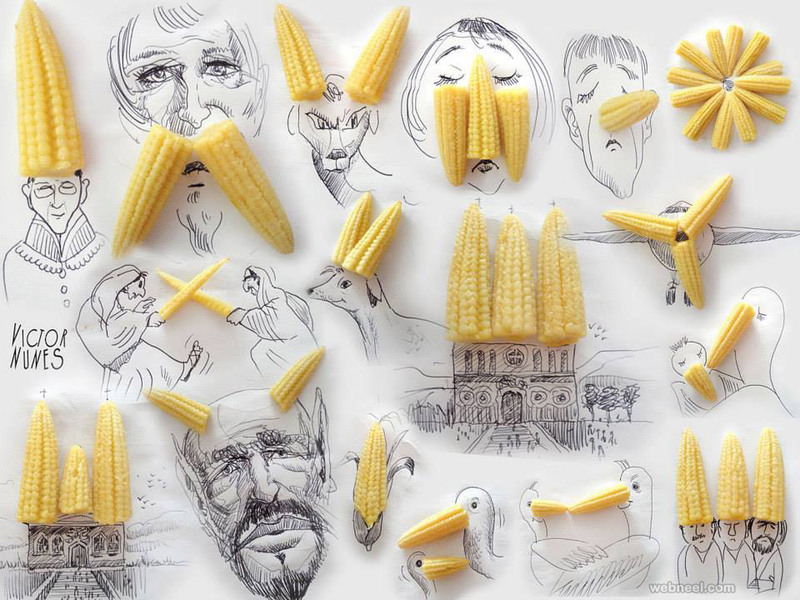 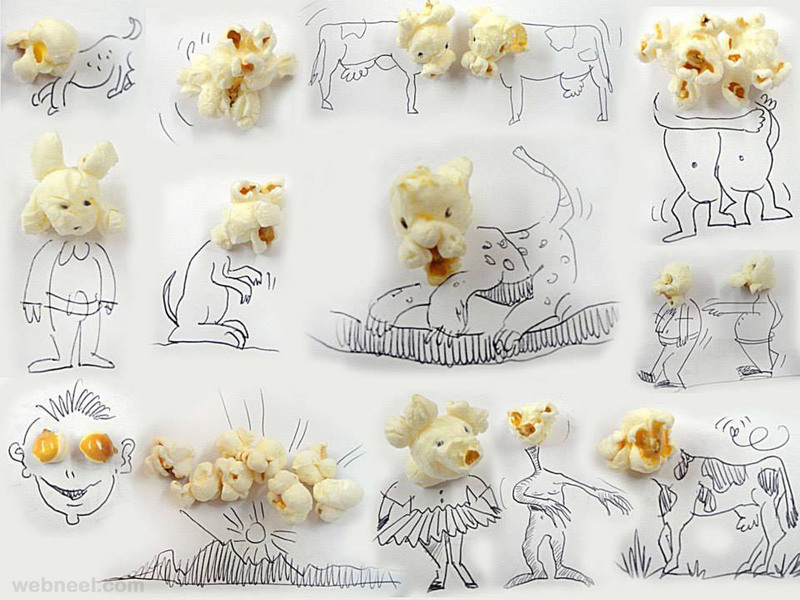 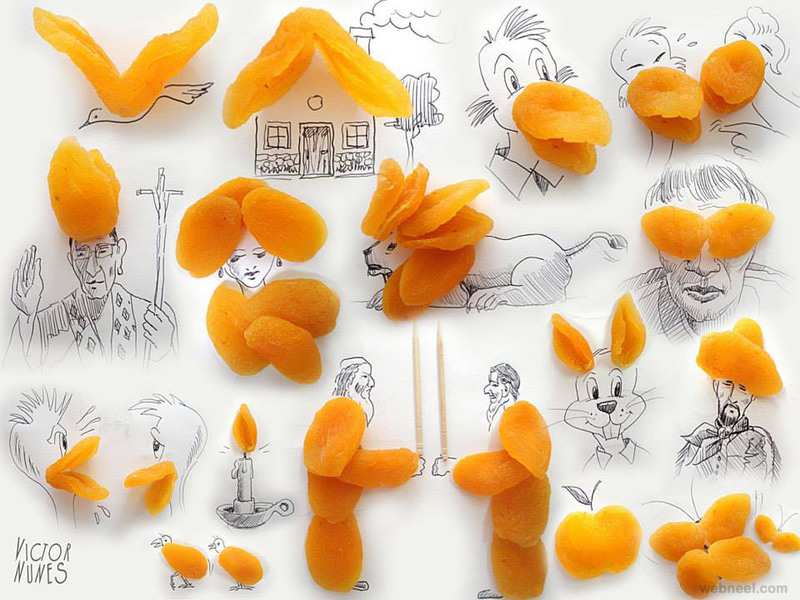 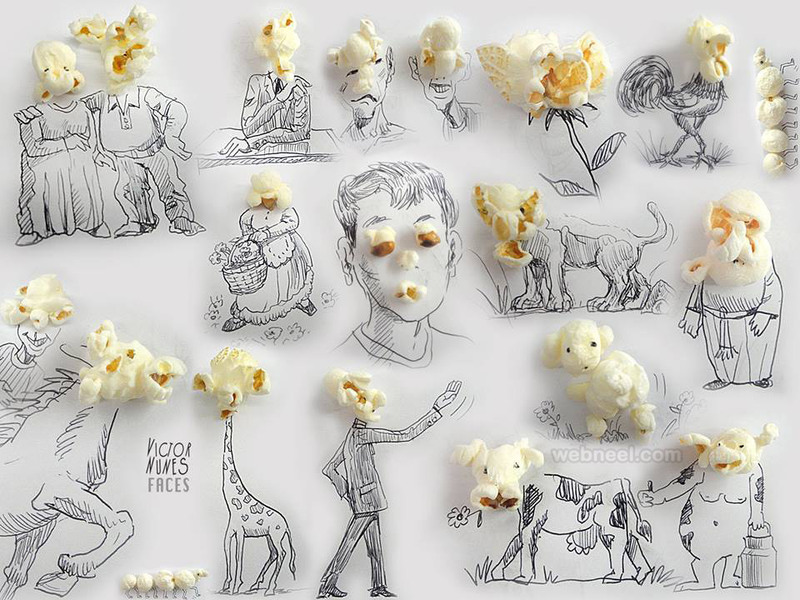 Scissors become a bicycle, lettuce turns into a dress and pop corn transforms into an elephant’s head – nothing is impossible with a wild imagination. 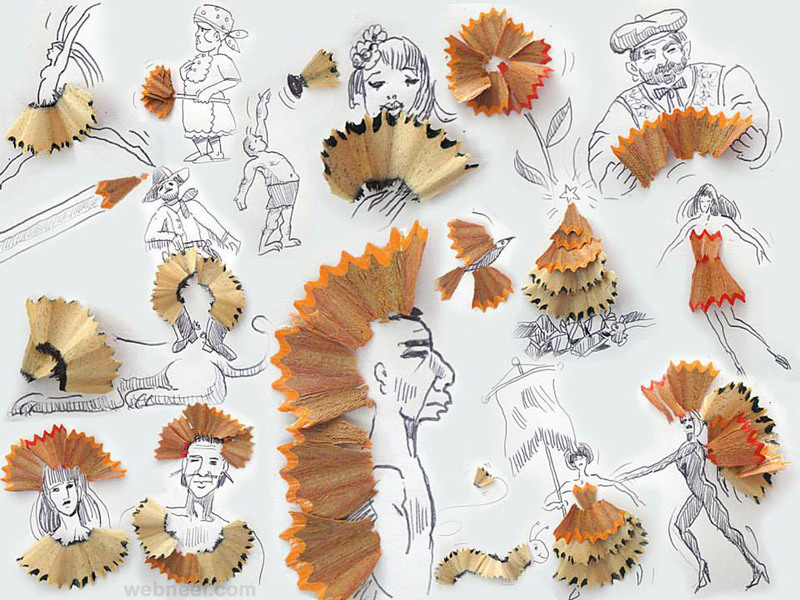 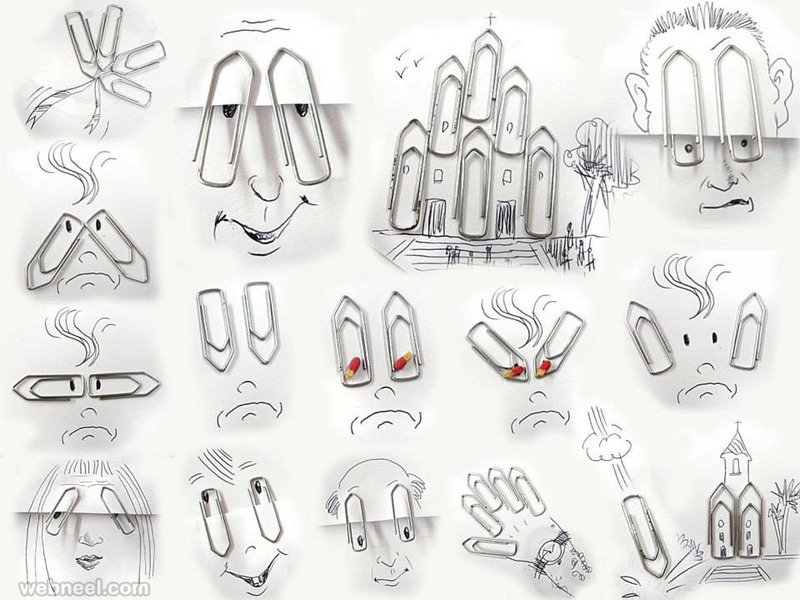 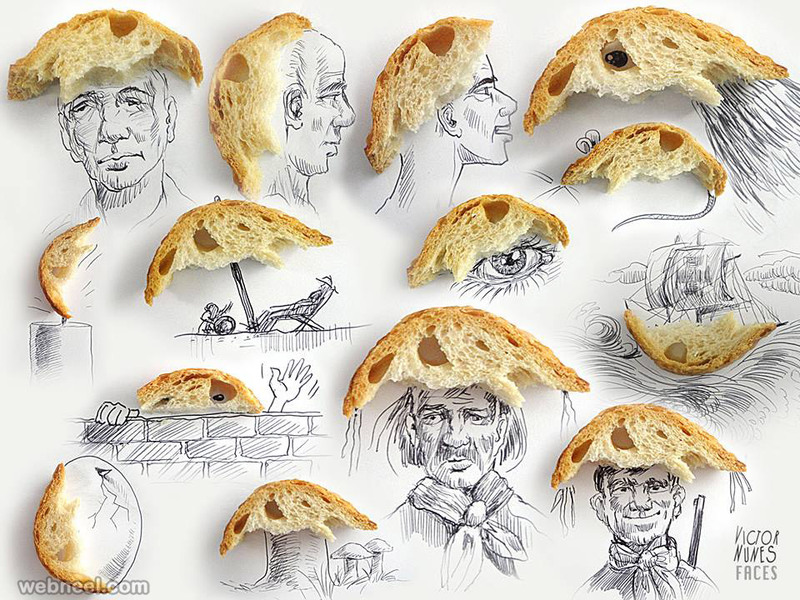 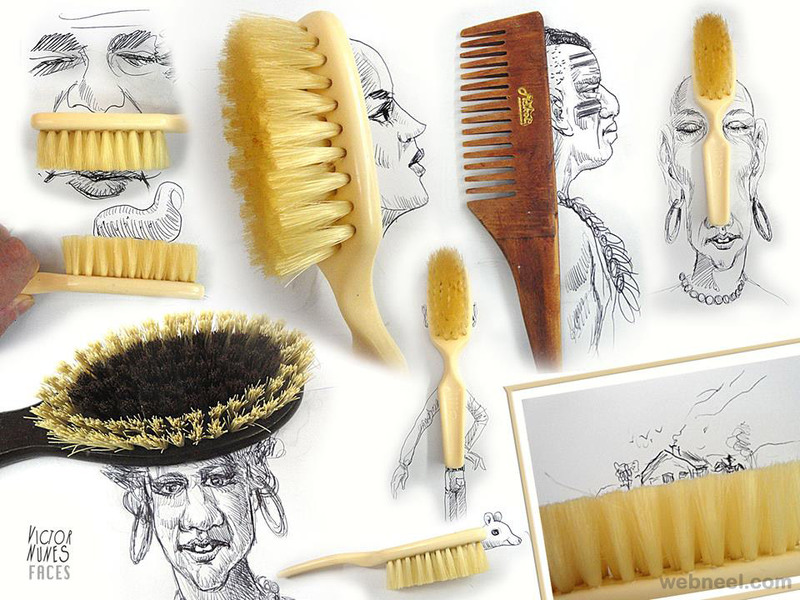 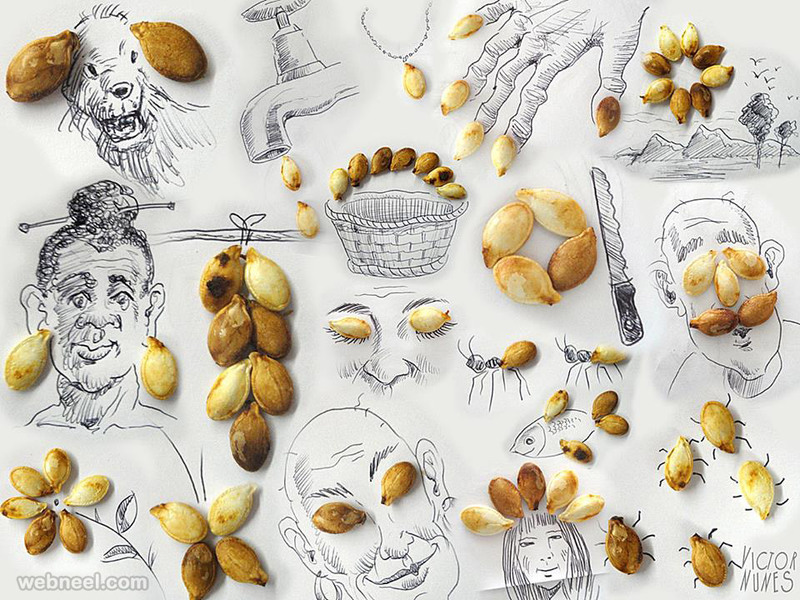 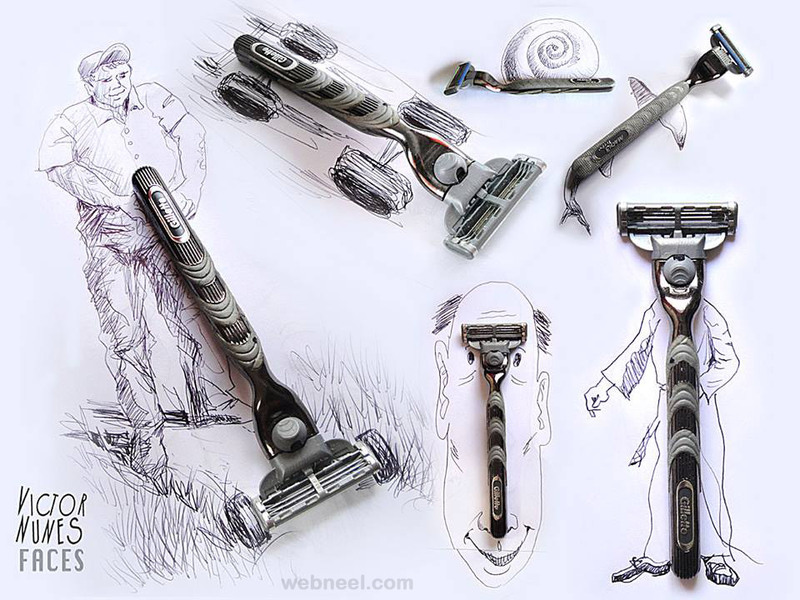 Victor Nune makes everyday objects into Imaginative Illustrations. 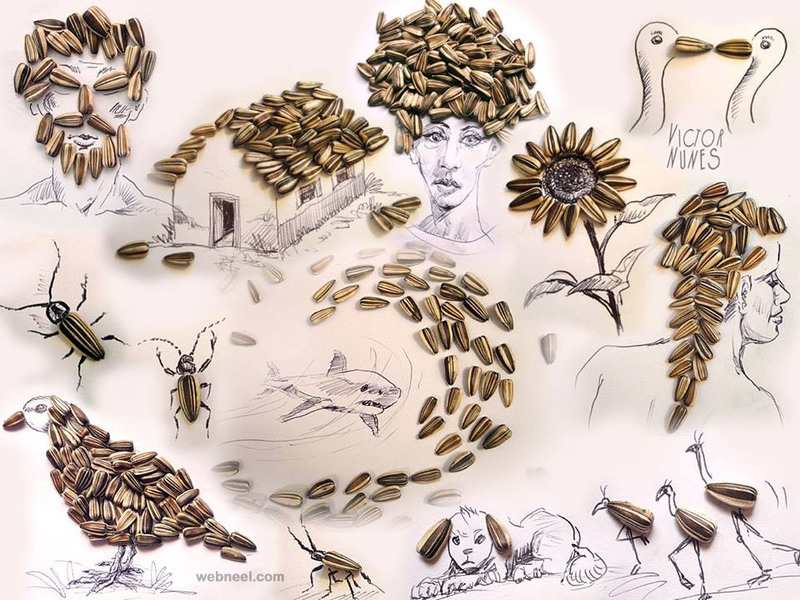 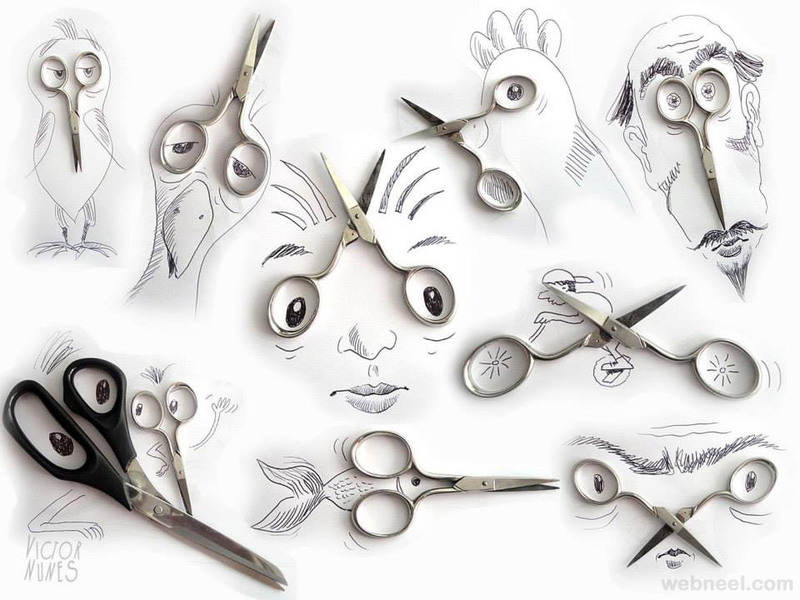 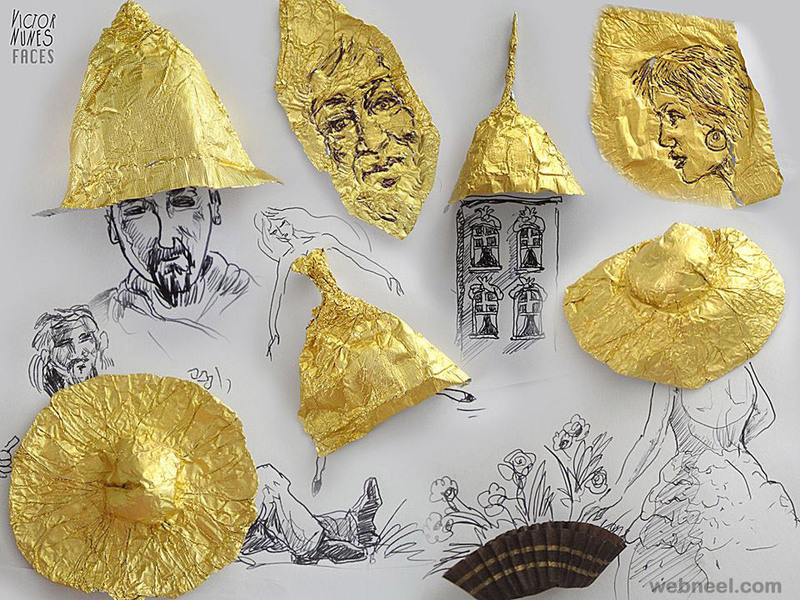 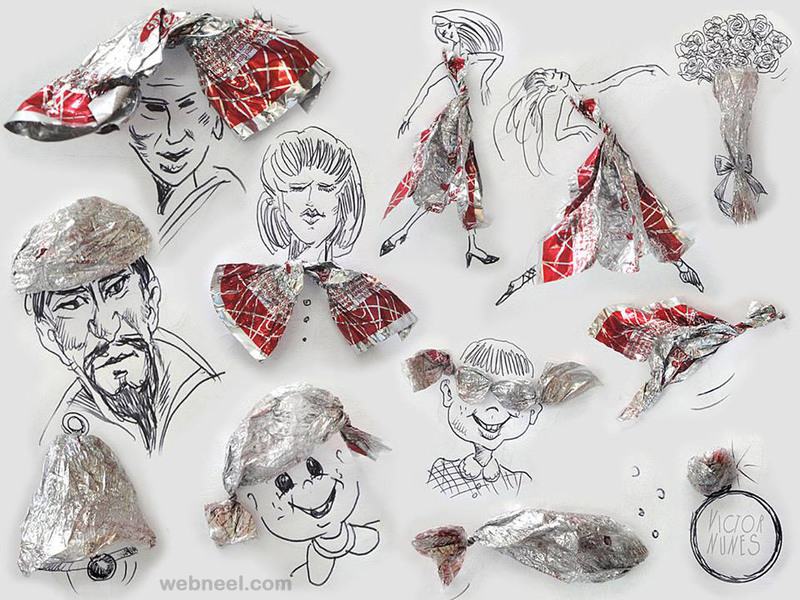 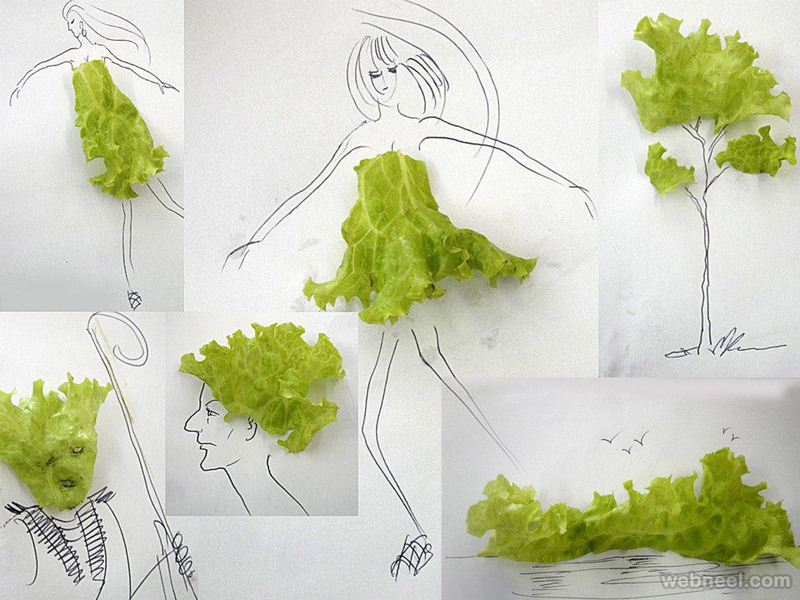 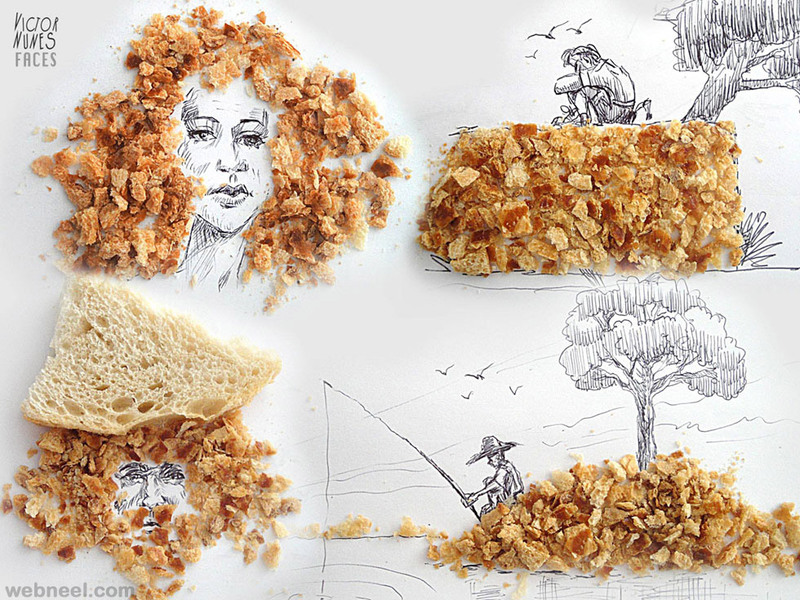 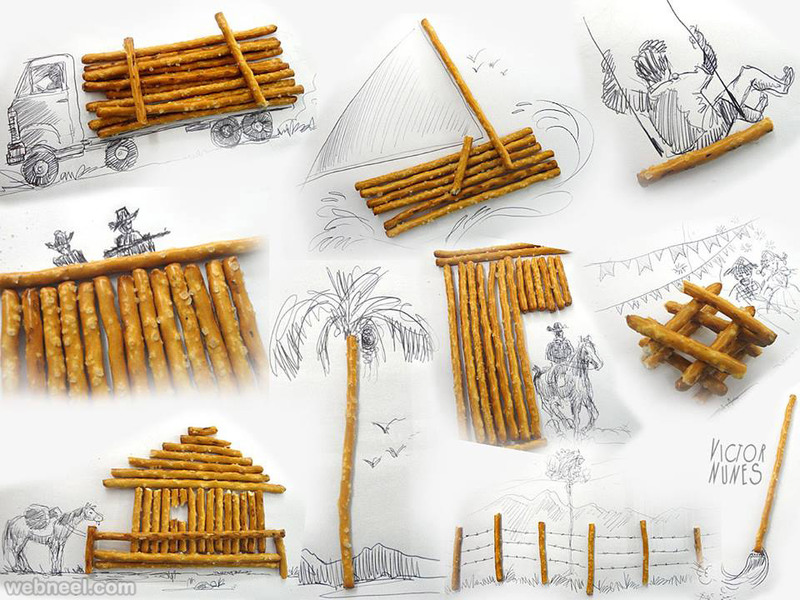 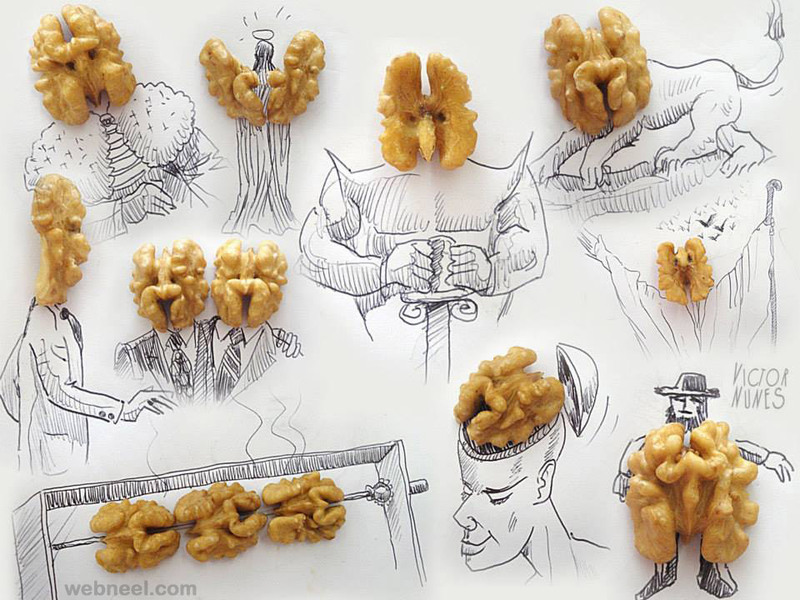 i hope you will like these creative art / funny art works.